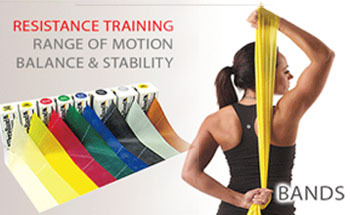 Resistance band have been around for over 20 years and physiotherapists have used them for specific exercise programs. The art of using them is to know which movements are required, which muscle groups to affect and how to use the resistance in the band most effectively. Physiotherapists are trained to instruct in this type of exercise and will use the bands as part of a more thorough exercise program. 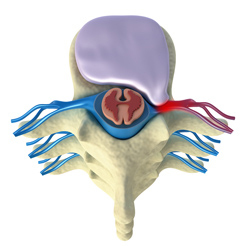 The bands are usually graded as to the amount of resistance they provide. Different colours provide different resistance. 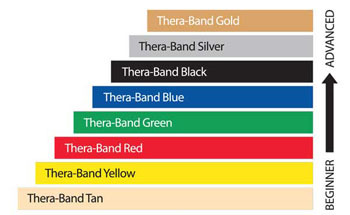 Using the wrong type of band at the wrong stage of rehabilitation could worsen the injury and prolong symptoms. Always ensure you consult your physiotherapist before embarking on a resistance band exercise program. Paragon Physiotherapy can provide bespoke strength and conditioning training which can progress from resistance band exercises through to one to one training sessions to improve your overall strength and fitness. We have a fully equipment training room upstairs providing a variety of exercise equipment, all to assist you in achieving your target, either to get fit, maintain fitness or train for a sporting event.